March 1 is a significant date for many reasons; it’s the start of spring which means warmer days and happier people and… well, that’s about it. Not anymore though, as March 1 is now the date our screens will be graced with what many regard as one of the greatest gangster films ever made. That’s right, Goodfellas is finally coming to Netflix and it’s already causing quite the stir among film fanatics and crime lovers alike. Netflix made the announcement earlier today (February 20), while revealing a whole host of other new additions to the streaming service. 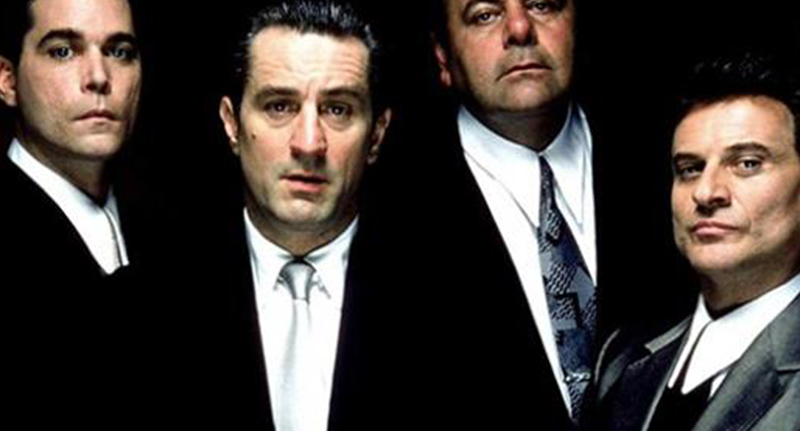 Before listing even more popular series and films; this time, Goodfellas sat right near the top and boasted an early release date. Widely renowned as not only as one of the greatest gangster films ever made, but as one of the greatest films full stop, Goodfellas follows the true story of wise guy Henry Hill and his rise and fall in the mafia world. Starring Ray Liotta, Robert DeNiro, and Joe Pesci, the film is based on the 1985 non-fiction book, Wiseguy: Life in a Mafia Family. And now, almost three decades after its release, we’ll be able to watch the legendary film to our heart’s desire as Netflix has done a solid by making it available. Even though it’s on ITV4 seemingly ever other week. Goodfellas wasn’t the only new addition that got people talking though; other highly anticipated films and series will be joining Netflix come March. Not least of all, series five of Brooklyn Nine-Nine, which I think we can all agree has been a looong time coming. In fact, you could say we’ve been as deprived as Scully and Hitchcock when they don’t get a hot dog all morning. Just saying. After teasing us with the addition of almost 20 new films and TV programmes, Netflix realised now was finally time to give the people what they want. So there you have it folks: March 1 and 8, call in sick and let your bosses know you’ll be binge-watching Goodfellas and B99 all day.